The Buyer: HY-C Company, Inc. is a family-owned company in business since 1947. Originally a manufacturer of chimney covers, it has recently made acquisitions that allow it to offer new products to its wide customer base that includes: hardware, hearth, building material and roofing distributors, catalog houses, chimney sweeps, nuisance wildlife control operators and other equipment manufacturers. The Seller: Fire Chief Ind. has 30 years experience in hearth product sales and wood furnace manufacturing. The company has patents pending on multiple product designs. 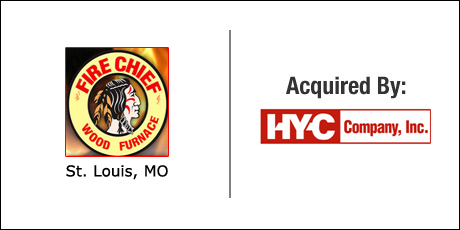 The Close: HY-C Company, Inc. is a fourth generation company that was looking to grow through acquisition. The desirable acquisition needed to add new product lines while simultaneously taking advantage of existing distribution channels. During the search process the buyers were approached by a company owned by a personal friend. The negotiations were particularly sensitive due to this personal relationship and compounded by the seller’s desire to stay on as an employee. DVS not only structured, negotiated and worked with the advisors from both sides to close the transaction, but also succeeded in preserving the excellent long term relationship between the buyer and seller.